I’m noticing a new trend popping up all around the country. I see it on my friends’ Facebook posts, in their pictures and on Groupon and Living Social. You’ve heard of people getting together at make-your-own-pottery studios and getting their creativity on, right? 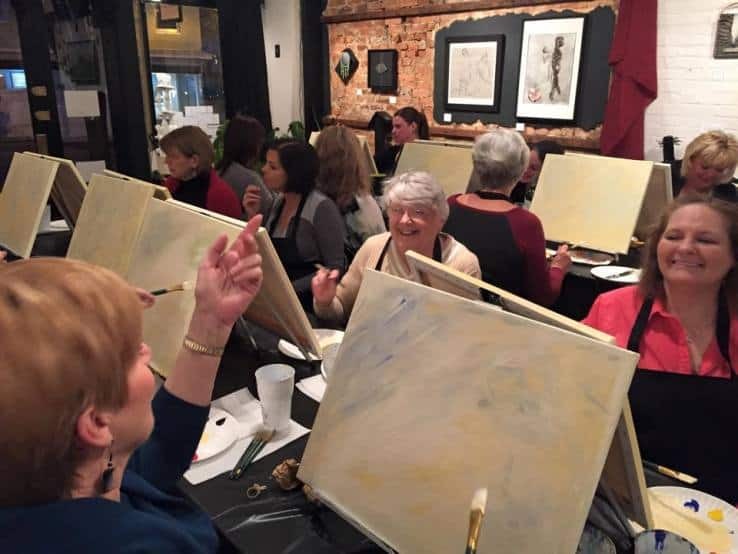 Well, having a paint party is a very similar concept! One of my friends, Jen, had posted her painting that she did at a painting party and I was SO impressed! I mean, how cool is this? You go to an art studio, or you have the artist meet you either at your home, or any other appropriate space you choose. 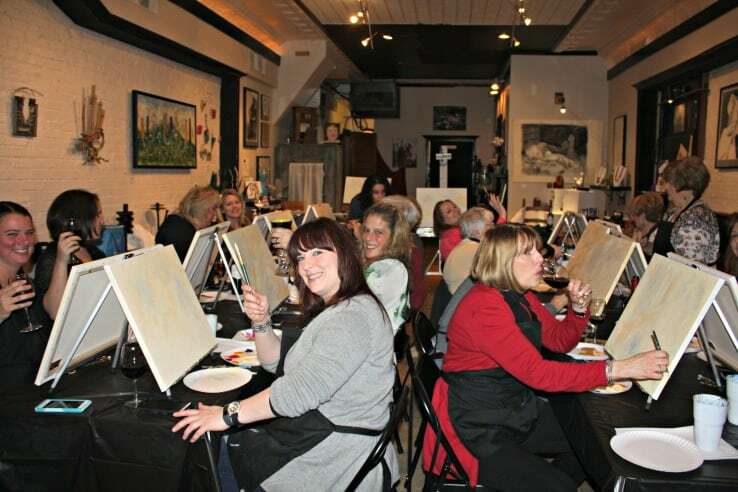 The trained artist sets everything up for you and guides you throughout your painting session. And, then you get to take your masterpiece home to display in your home, OR even give as a gift! I love it – unique, fun, creative, relaxing – AND you have an end product! 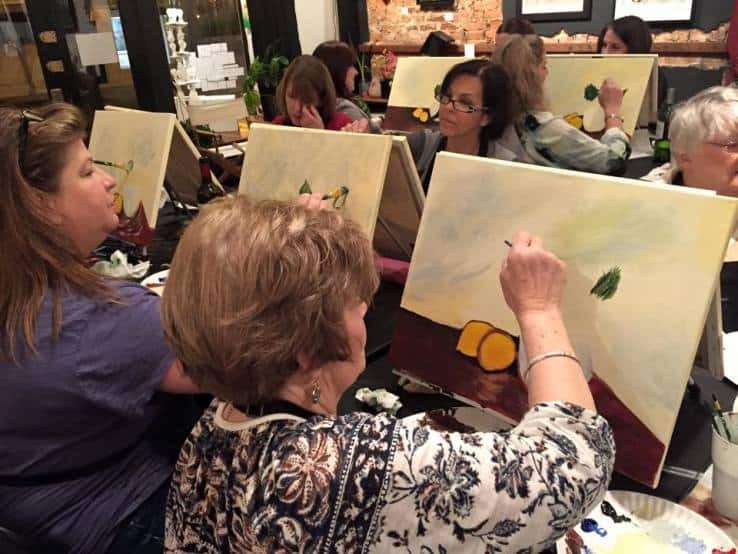 I asked my friend Jen where she had her paint party, and she highly recommended the place – it’s called Great Paint Parties, LLC in Frederick, MD. Christine Kenney is the owner/artist. So, I decided that it’s high time to have our very first Housewives of Frederick County Meet ‘n Greet! 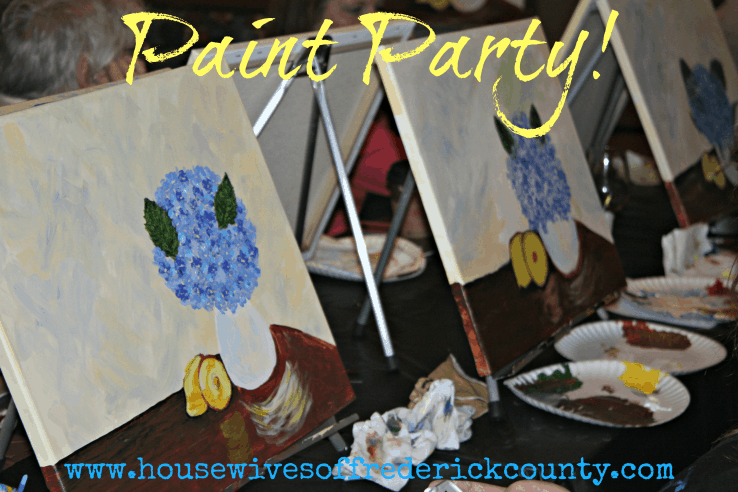 What better way to have fun and get to know each other than a paint party! Christine handled all of it – she created an online flyer for us to post on our Facebook page, in order to promote the event. I was a little nervous that we may not entice the required 15 people to have the party. Turns out, we didn’t have any problem getting enough people to join us! Some of our new friends from our gym signed up, one of our best friends signed up along with one of her friends, and even two of our high school alumni, that we keep in touch with on Facebook, signed up! Before the party, Christine gave Pam and I a wide variety of choices of paintings to choose from. Pam absolutely LOVES hydrangeas and I wanted anything flowery or Springy, so we chose one with a vase of hydrangeas. 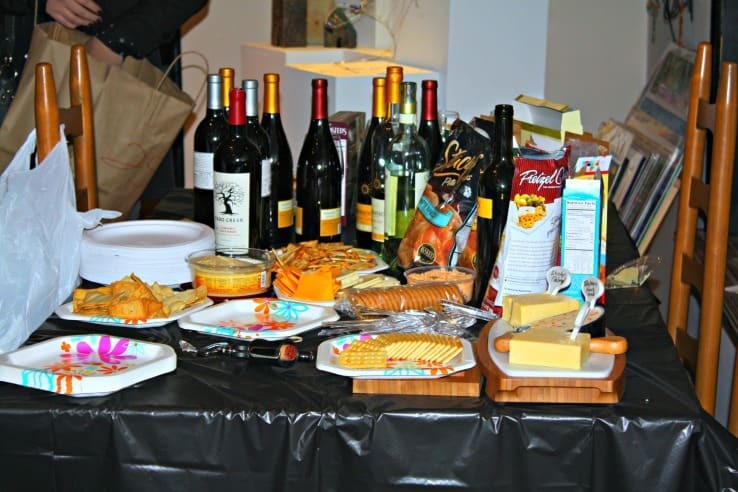 Everybody brought a light snack and whatever they wanted to drink. Looks like wine was the favorite drink of choice! Not gonna lie – I was nervous before the party. As happy-go-lucky as I am, I have a bit of a social anxiety – so, every time I get ready to go to any type of social event I get nervous. 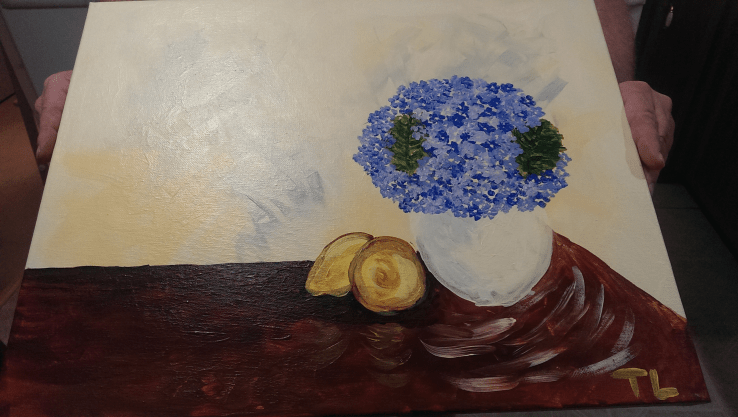 But, once we got there and got situated, and especially once we started painting, my nervous excitement went away and was replaced with a fun, relaxed feeling! There’s really something about putting paint to canvas. It’s so freeing and refreshing. One of our new gym friends! Christine was EXTREMELY patient with all of us and took us through the painting one step at a time. She would come around to each of us and give us advice, or even help us correct mistakes (turns out you can take a wet paper towel and wipe paint off the canvas when you make a mistake!). One of our high school alumni/friends geniusly captured the steps of our process! By the end of the night, there was not a stranger in the room. In that 3-hour-plus time period, we laughed so much together! There literally was a bonding that happened amongst all of us! Pam and I knew many of the ladies before the party, but many didn’t know each other. I honestly believe I couldn’t have brought a more fun group of ladies together if I had hand-picked them! Once we were all done, Christine got a group shot of all of us holding our masterpieces. I feel like the theme that night wasn’t just about creativity and trying something you’ve never done before, I feel like the theme ended up being about FRIENDSHIP. 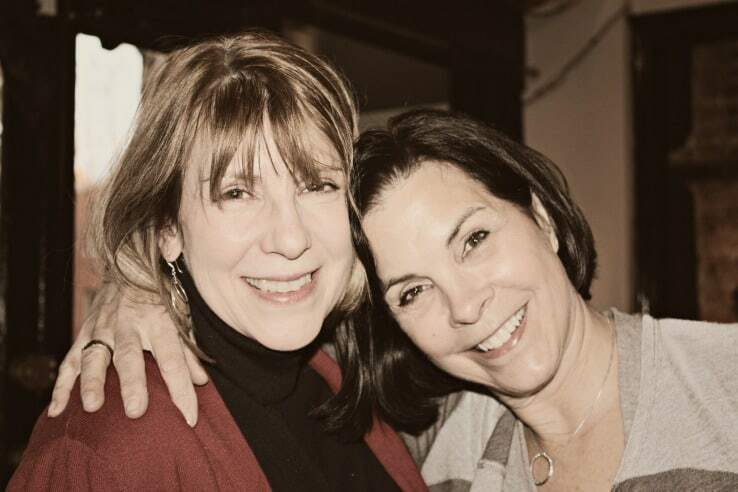 One of our best friends, Cristi, is ALWAYS there for us – no matter what. Our new friends from our gym who, although we’ve only been going to the gym a few times a week for about two months, feel like family to us now. Our two other high school alumni (Cristi is the third), who we talk to regularly on Facebook, but haven’t seen for 30 years, chose to join us!! And, the ladies we didn’t know before the party, who we laughed with, we would happily call them friends now! It’s been almost a week since our paint party and we all haven’t stopped talking about it! Everybody wants to do it again, and we’re talking about how fun it would be to try it in a different setting (Christine is really flexible and is open to that). 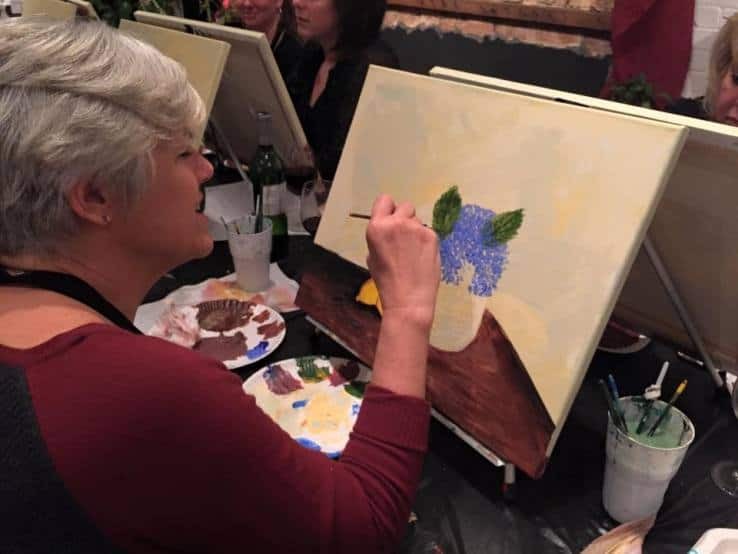 So, if you’re thinking you’d like to try something new and different….and SO much fun, check out Great Paint Parties, LLC! It truly is a friend-bonding experience! Another great article. Everything she said is true such a fun time with old friends and new. I took my mom and count be happier that we went. Christine is as great as Terri describes. I’m definitely in on the next one if theirs room. Lol I bet people will be clawing to get a spot. Lol. Thanks Maureen! 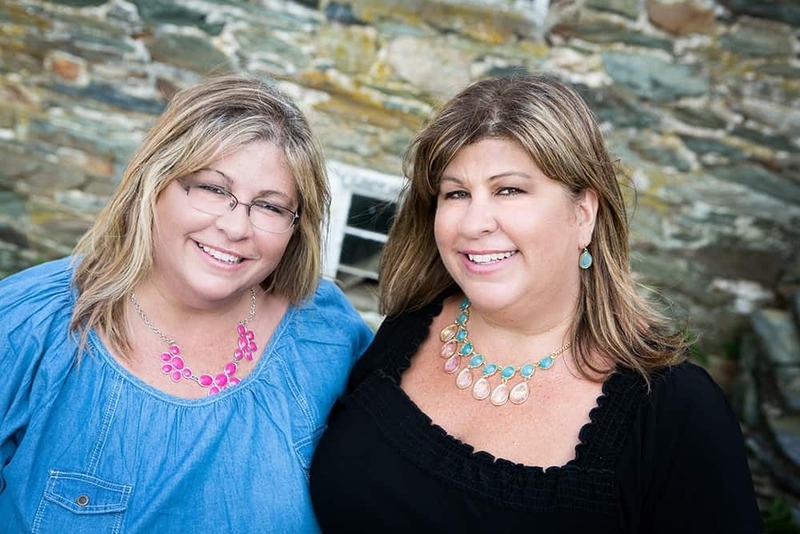 Your mom is a sweetheart – we’re so happy you brought her! We’ll let you know when we plan the next one! This was such a fun experience! What a great studio right in town! Perfect setting for a great paint night! Christine was a great instructor, was helpful and even though it was a large crowd, she made her way around the room to help and answer questions and give personal instruction. 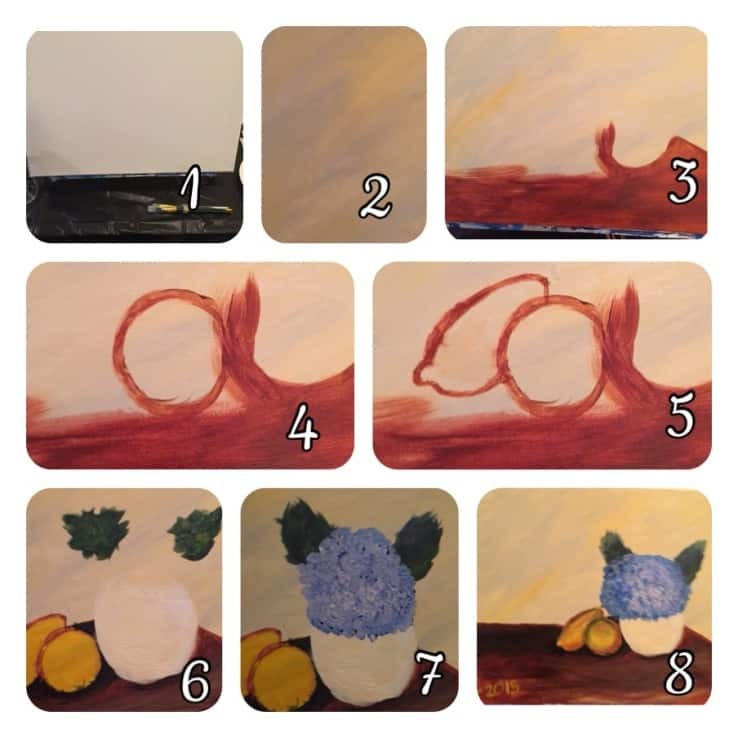 Great class for beginners and experienced painters alike! Your article really describes the evening well! We were all laughing and having such a great time together! It’s always fun to see you girls – you keep everyone smiling! It was also great to meet new friends, and of course see Amy! Thank you for organizing a great girls night out!! I’m already going again on Saturday! You’re so welcome Cristi! It wouldn’t have been the same without you  Have fun on Saturday!! !